I started my blogging activities somewhere in October. And although I was pretty clueless in the beginning, I had to start reading about blogging tips and tricks when I reached the Stage 5 of the whole endeavor. Hrrrr… Oh sorry, I fell asleep again, right after the “visibility”. Seriously, Wikipedia (and other tips on SEO sites), talk to me like to a normal person! I do understand every word you are saying, but somehow I cannot relate to the sense of the sentence in whole. Well, it does stand for Search Engine Optimization. You must have noticed that when you search for some information on Google the results are displayed on multiple pages. Most probably, whatever you are looking for is on the first page already, so you won’t even bother looking at the page 2 onward. Why are some links on the page 1 and others not? Well, it’s Google magic, people. Ok, not magic, more like lots of calculations based on complicated math, which at the end tell Google which link should be put higher in rank. Although I can imagine complicated math being a sort of “(black) magic” for some of us. If you know what makes the magician decide which rabbit to get out of his hat first, you can make it be your rabbit. And by magician I mean Google, and by rabbit I mean your blog post. So SEO is basically the way to prepare your “rabbit” so that the magician will pick it among the firsts out of his hat. And as for real rabbits it might be easy-peasy (feed him good, give him a pretty hair style, sprinkle some perfume), in the case of an article on your web page it is a bit more tricky. We will get to this in a minute. I’m going to make an awful confession now (thank God the SEO experts are not reading): I used to not believe in SEO. Don’t get me wrong, I acknowledged its existence, but I thought there is no way the links from my teeny-tiny blog would pop up in the search results, not to mention high enough for somebody to start clicking on them. Until couple of months ago when weird things started happening. Guess what? A month or so after I published this post I noticed some traffic and the hits on this posts coming from Google search. First, I thought somebody is reading it. 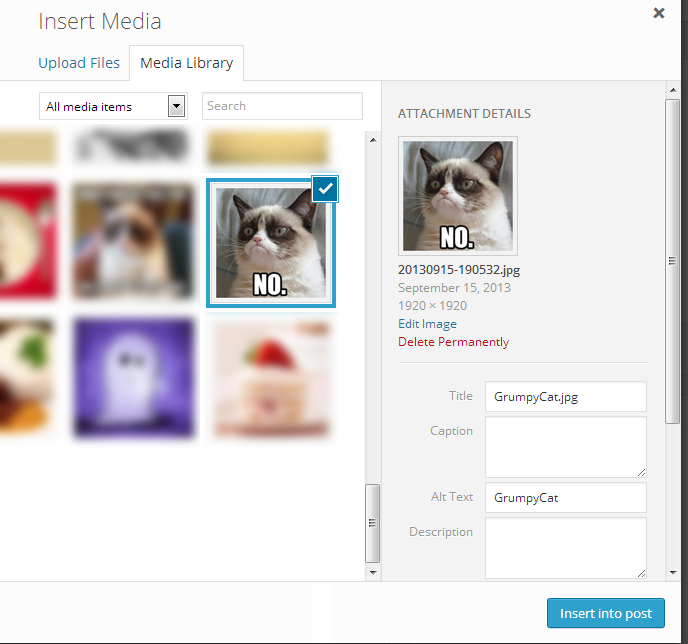 But then I realized that it’s because people were looking for “grumpy cat” and “grumpy cat no” pictures on Google. Apparently, my post was among the results, close enough to the top for people to click on it. What?! On some “rainy days” these hits even make a good share of my whole traffic. I silently hate this post already, because I would like people to read the good stuff and not click on some boring nonsense. There are gazillion tips on SEO out there. Some of them you will get straight away, some of them will make your brain hurt. I’ll tell you about the basics the Grumpy Cat taught me. If you want to know more, you can go inflict suffering on your brain on your own time afterwards. Use key words in the title. And by key words I mean words that describe the content of your article the best. If you are writing about your family, put the word “family” there. If it’s about parenting, let your title have “parents”, “parenting”, “children”, etc. in it. Best case scenario: use “hot” key words, the one you know everybody out there is searching for right now (I don’t know, like “SEO” or “Grumpy Cat”, for example). Use the key words from the title in your text. I hope it’s clear from the picture above. There is of course more to it, and if you are brave enough, you can google the “advanced magic” stuff yourself. But I assure you, these three simple rules will work for starters. 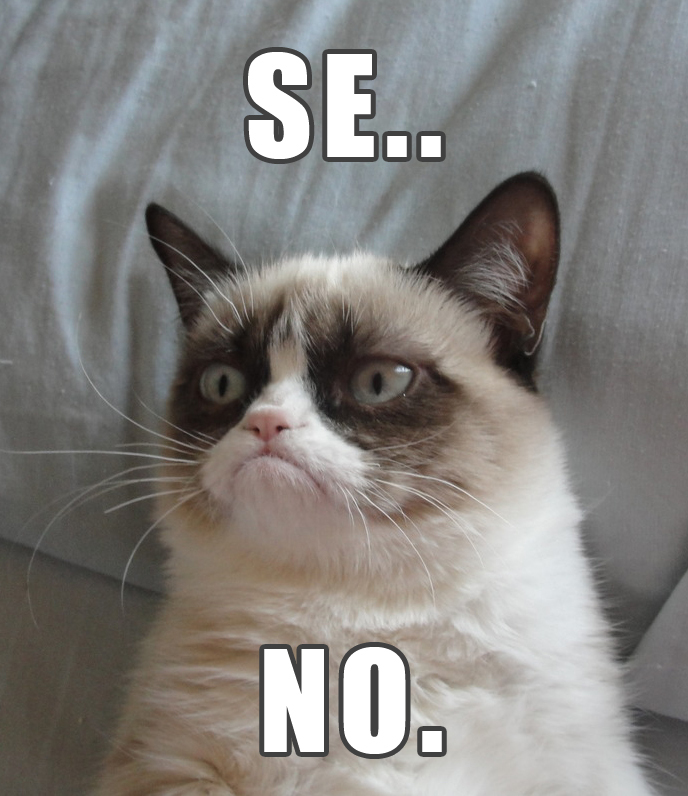 I have the empirical Grumpy Cat evidence. Try it out in your next post and see what happens. I can imagine you can’t do this for every post you write. If you write fiction, or “true stories” the way I do, it is not possible. I personally hate titles that give away the secret of the content to come. It’s boring! And there is no SEO in this world I’m going to write boring titles for. But from time to time you might come up with an idea for a post that is perfect for the SEO magic. 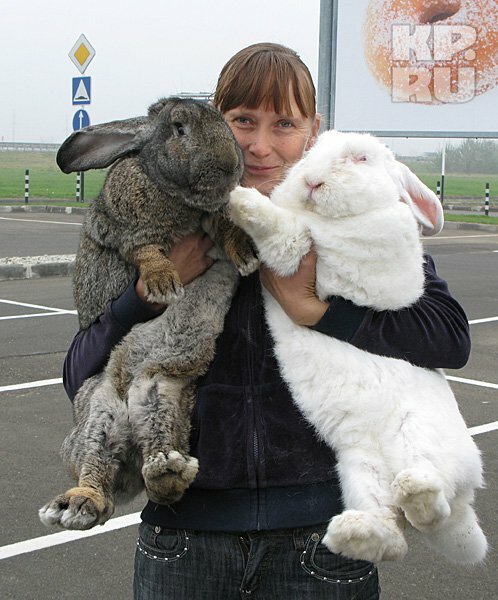 And who knows, maybe your rabbit will become the star of the show this time. P.S. I cannot keep but wondering what Google search engine thinks of this post. 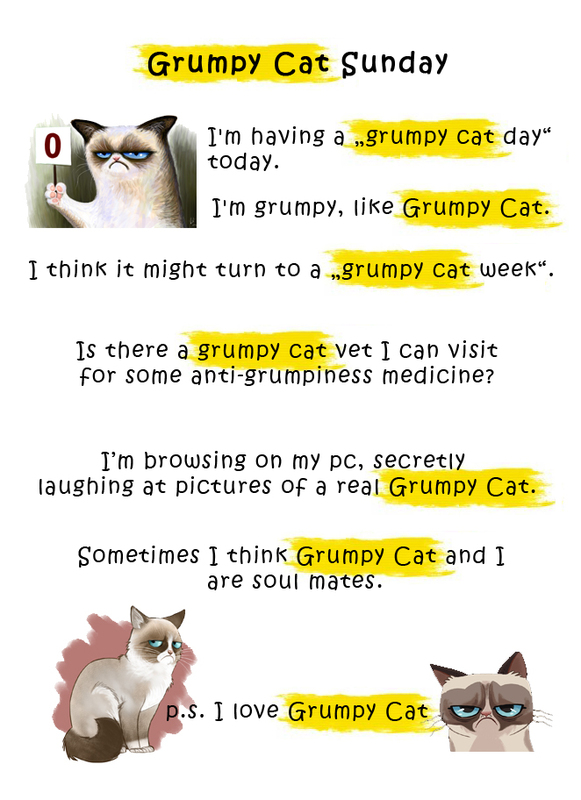 It has two very “hot” key words – SEO and Grumpy Cat – both in the title and throughout the text. The pictures are tagged accordingly. I can imagine some smoke coming out of that engine when it tries to figure out what to do with it. So if Google search is broken tomorrow, we all know how it happened. Previous post I Touched The Ocean. It Was Not Amused. Next post Memo to Myself: Never Try Baking Again. Ever. I always find it challenging to always put key words in the title because sometimes it makes it clumsy and awkward. I need to try to find ways to include key phrases within my title and page description.